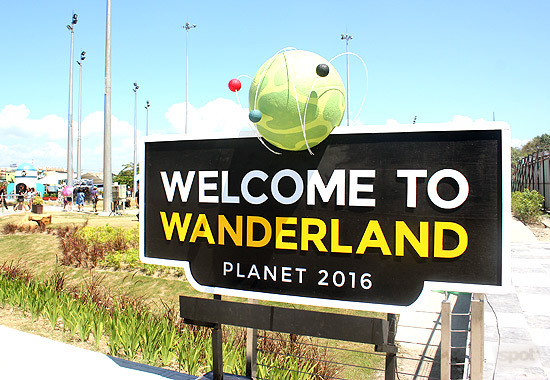 This year, Wanderers took an unforgettable trip to space! 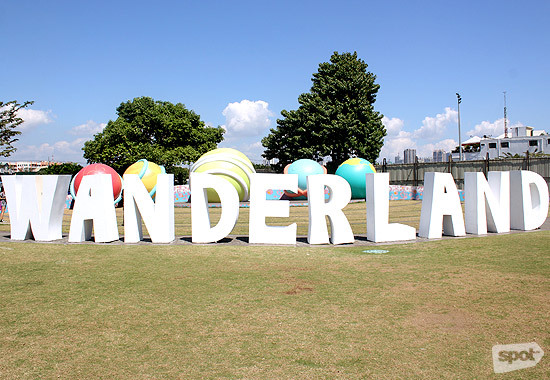 (SPOT.ph) As any avid concertgoer will tell you, there's so much more to Wanderland Music & Arts Festival than its electrifying roster of performers. 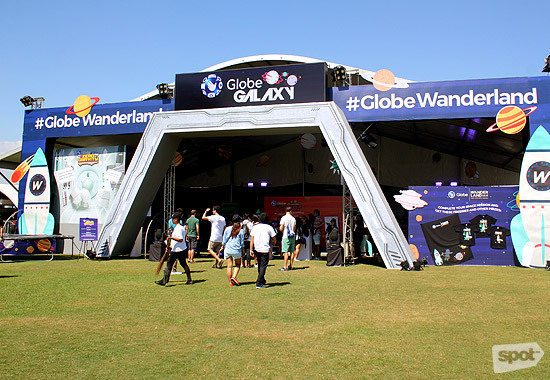 If last year's festival had Wanderers trooping to camp, this year had everyone jetting off to space. 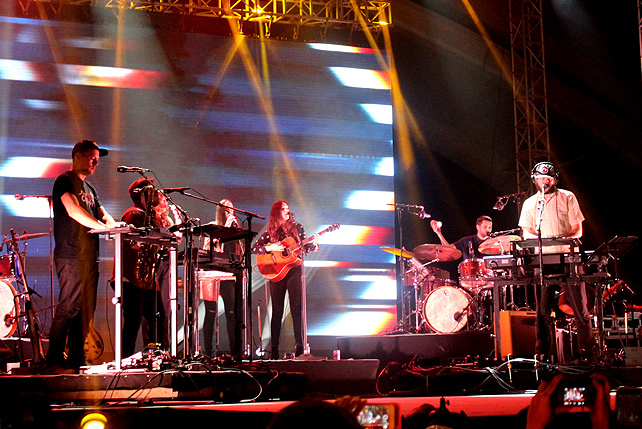 Here are some of the out-of-this-world sights and activities that kept music fans occupied for over 12 hours. 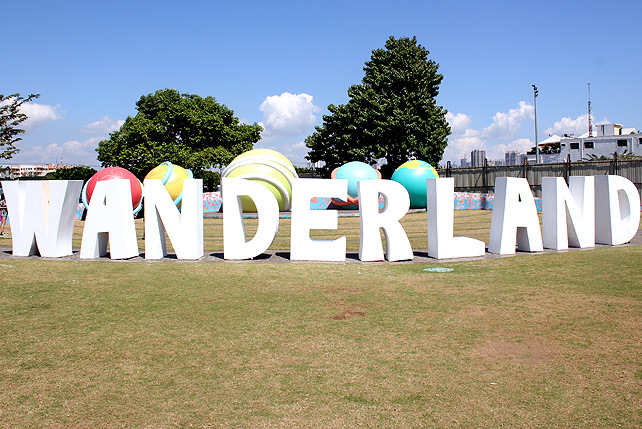 This sign greets Wanderers as they head inside the venue. 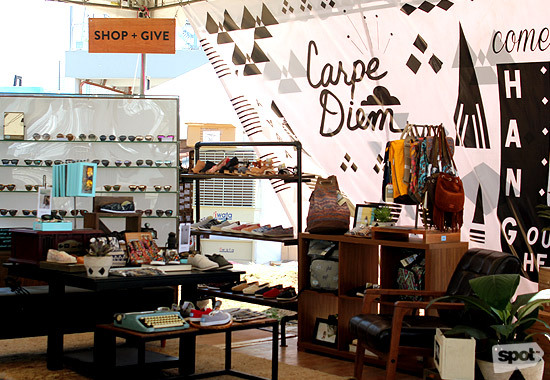 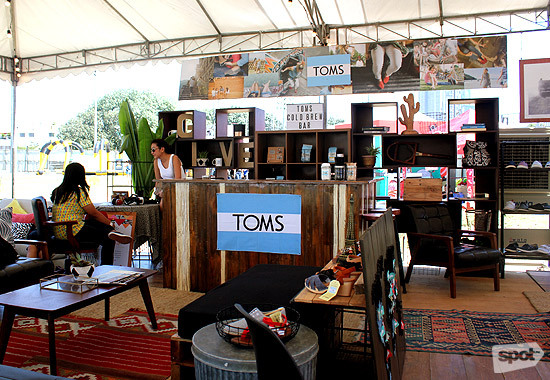 One of the most popular sponsor tents that day was from TOMS, thanks to their comfy couches, free cold brews, and shopping display. 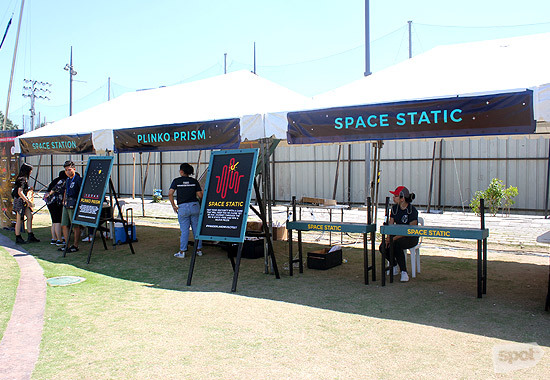 The activity booths stayed true to this year's space theme, with some of them literally taking concertgoers to the sky. 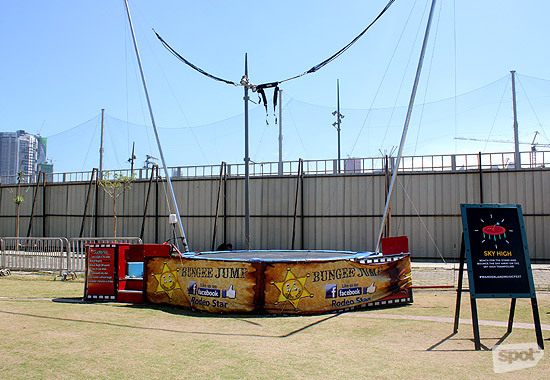 Would you dare to go fly high? 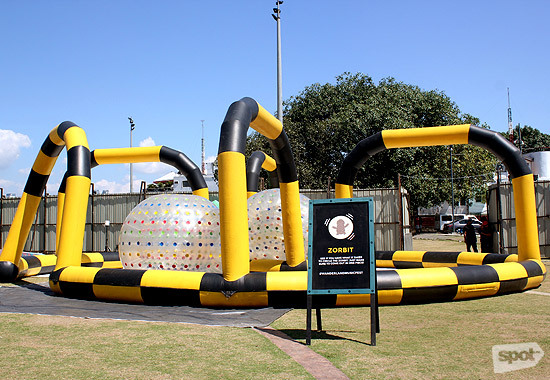 They're like giant hamster balls...but space-themed! 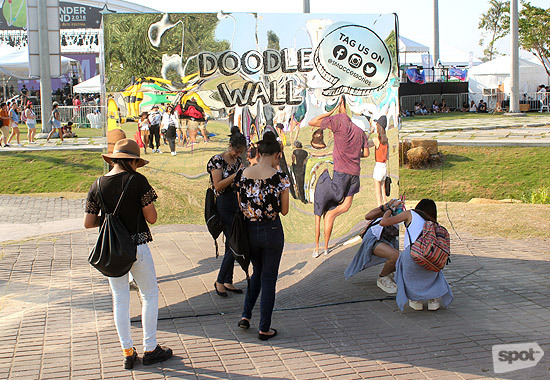 Don't get lost in the hall of mirrors. 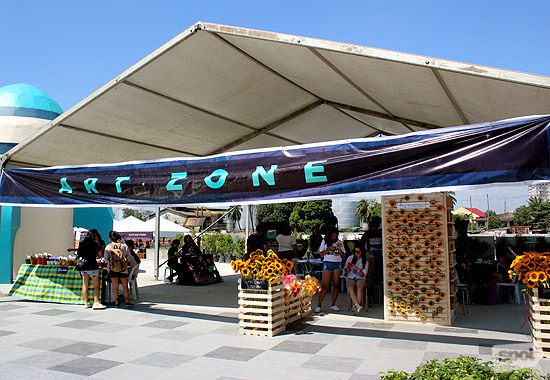 There's plenty of shade from the sun, too. 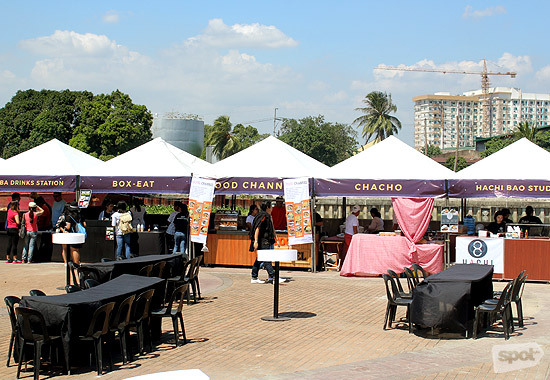 Wanderland's strip of food stalls featured plenty of variety this year. 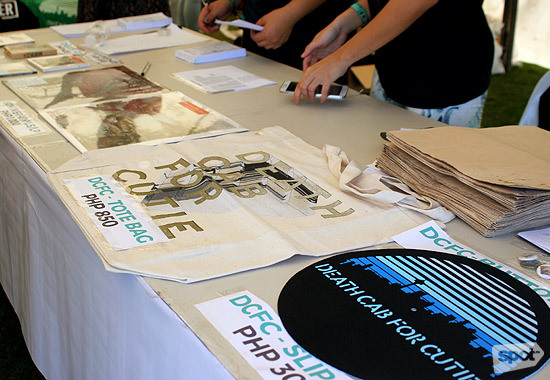 Meanwhile, they also had merch booths so concertgoers can wear their love for Bon Iver or Death Cab for Cutie. Wait till you see the lines once 6 p.m. rolls around. 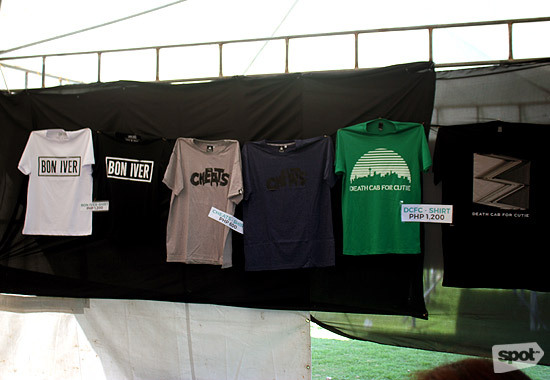 Check out that Bon Iver shirt! 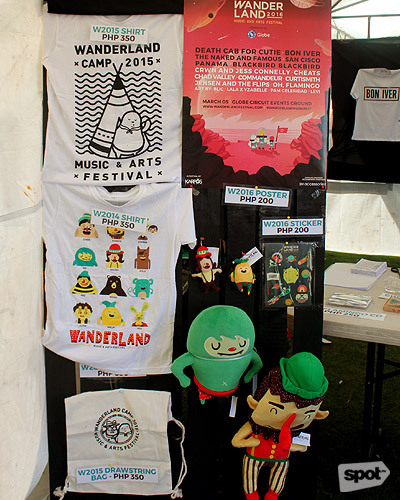 Merch from last year's festival were also up for sale. 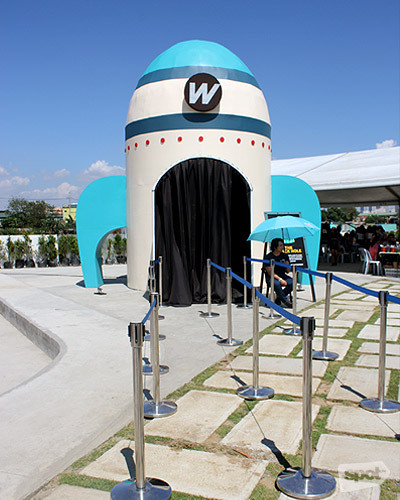 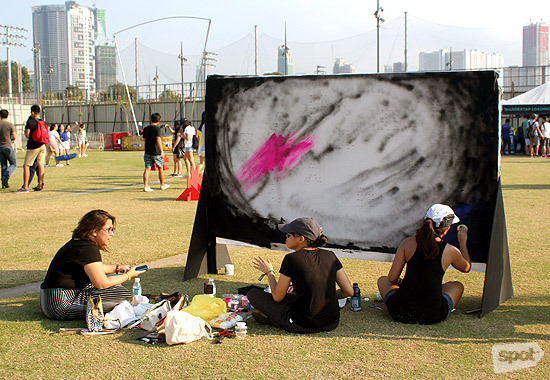 For the artsy folks, Wanderland had special booths for those who wanted to unleash their creativity. 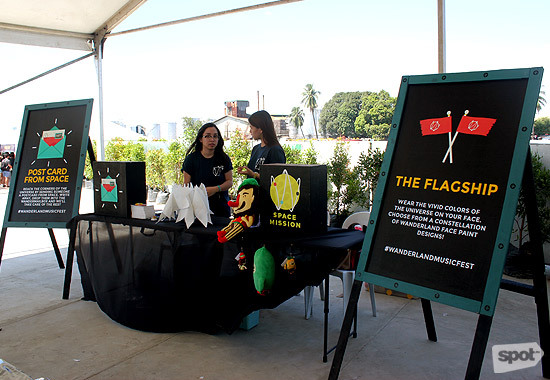 Create your own colorful flags, try your hand at face painting, or send a post card from space.